D.C. sports fans and avid animal lovers unite: A new book from the Humane Rescue Alliance features glossy photos of star athletes and some cuddly teammates. See photos. WASHINGTON — D.C. sports fans and avid animal lovers unite: A new book from the Humane Rescue Alliance features glossy photos of star athletes and some cuddly teammates. “Dogs, Cats, Sports,” released Monday, includes photos of local athletes and sports media personalities with their pets and, sometimes, animals that can be adopted from the Humane Rescue Alliance. 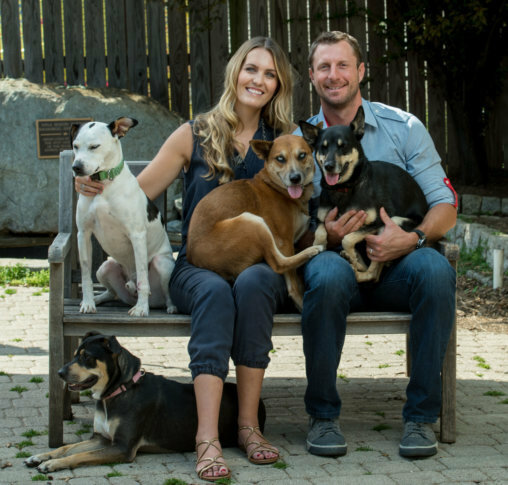 “The intersection between our love of sports and the joy of pet ownership is a wonderful place, evident in the photographs contained in this book,” said the Washington Nationals’ Max Scherzer and his wife, Erica, in the book’s forward. All proceeds from the book will go to the Humane Rescue Alliance. Find the book here. Check out some of the photos from the book below, featuring the Scherzers, the Wizards’ Bradley Beal and John Wall, the Capitals’ John Carlson and the Mystics’ Natasha Cloud.